A staple of the Disney franchise, princesses are a common sight in many of the popular animated tales. 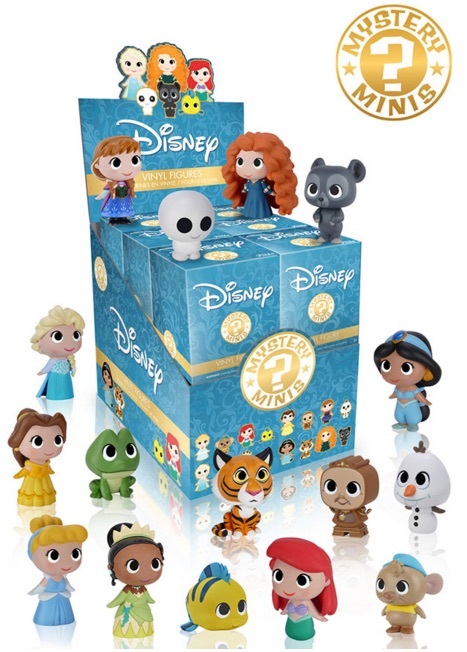 Funko Disney Princesses Mystery Minis honors some of the key names with blind-box figures. This includes films like Frozen, The Little Mermaid and Aladdin. Shop for Funko Disney Princesses Mystery Minis on eBay. The main release includes eight princesses and one sidekick per princess for a total of 16 figures. Although the princesses are more common and each one generally falls in every case, the secondary characters are more rare. Based on the numbers, each case should shield one of each princess, an extra Elsa, and three sidekicks. Raja the tiger from Aladdin and Snowgie from Frozen are the most difficult to pull, each averaging 1:6 cases. Adding to that total, eight additional figures are only found at Hot Topic and Walgreens, including Mulan, Snow White, Rapunzel, and Pocahontas. Because this is a blind-box release, the subject remains a surprise until it is opened. Cases come with 12 boxes so it will take quite a few boxes to make the entire set. Do you know when in Feb these were being released? Rebecca � Looks like they starting to show up now.